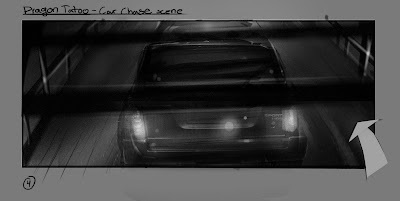 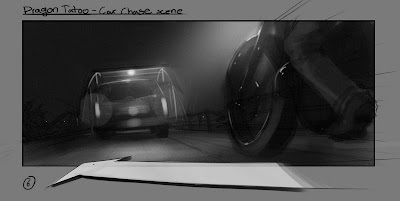 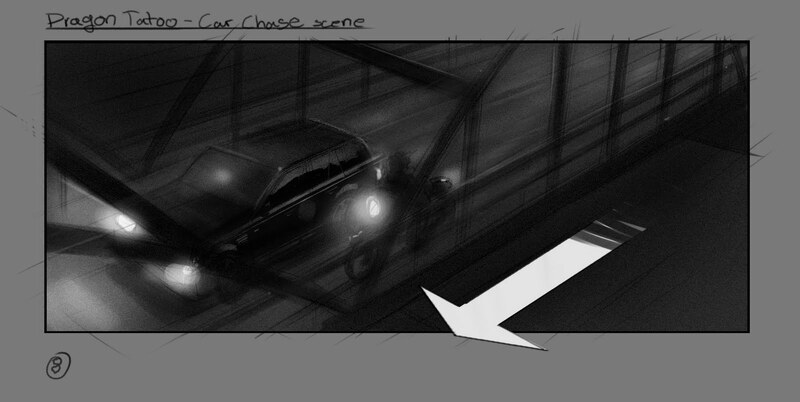 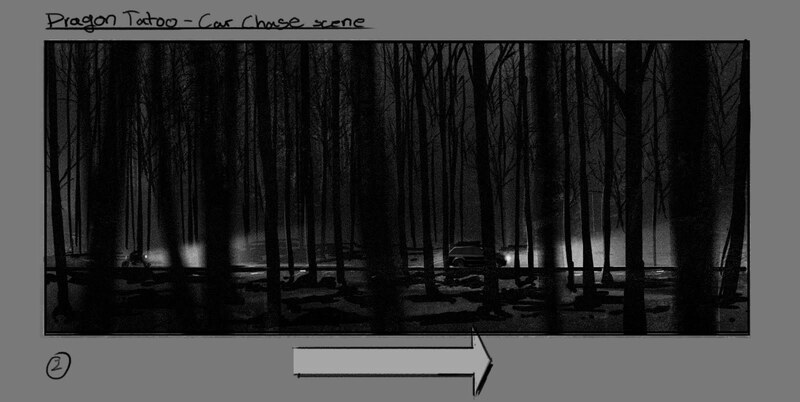 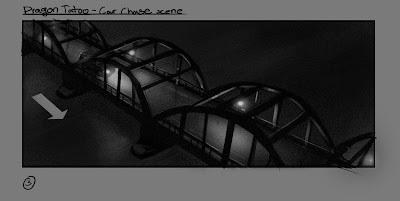 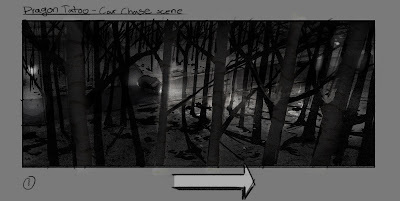 Here are a few storyboard samples I did for Mr David Fincher on the movie The girl with the dragon tattoo. 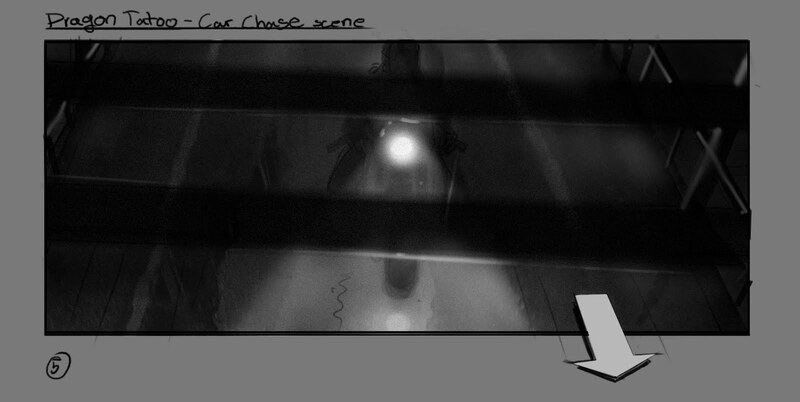 One of my favorite directors and a pure pro working with. really fantastic range of work here! 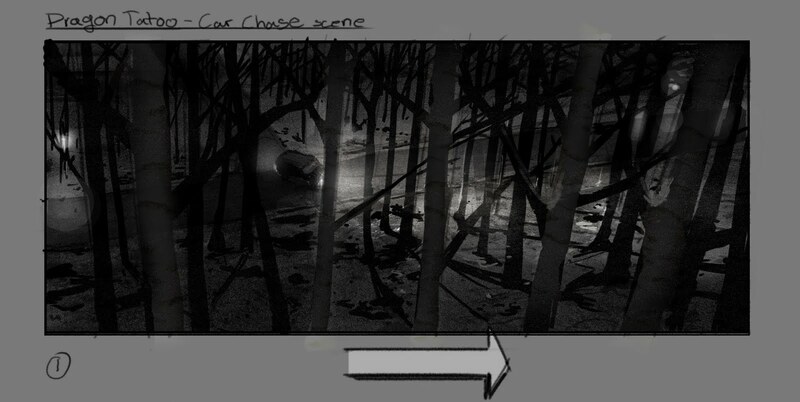 I especially love the storyboards. 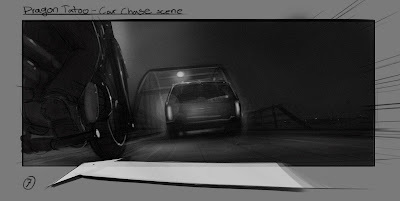 Really great work man ! Beautiful! 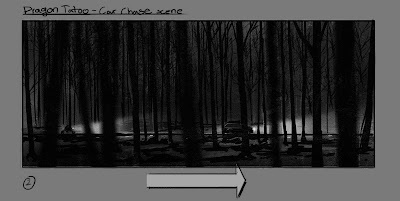 I love your sense of light and atmosphere... and congrats on having worked on such a project!